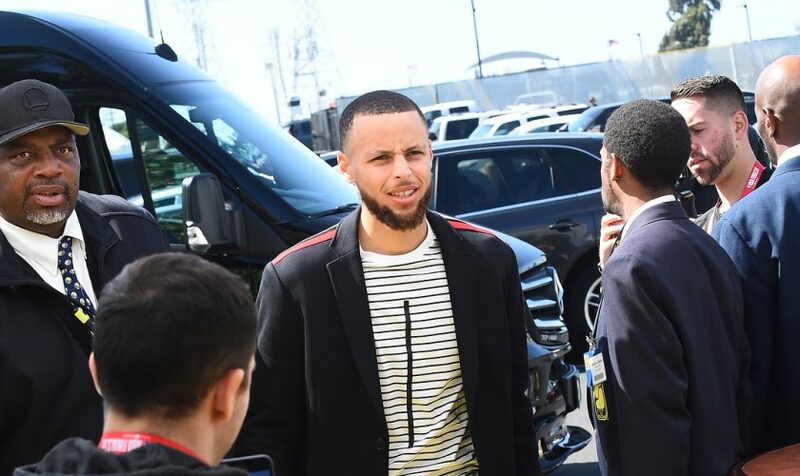 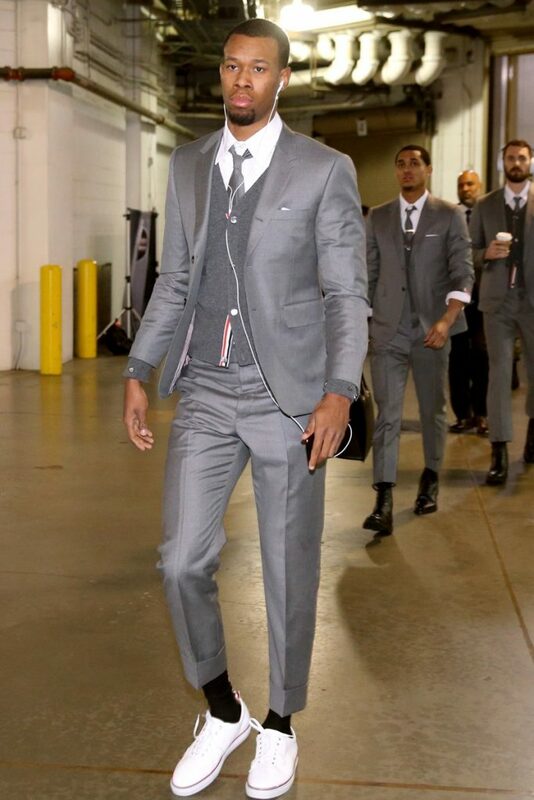 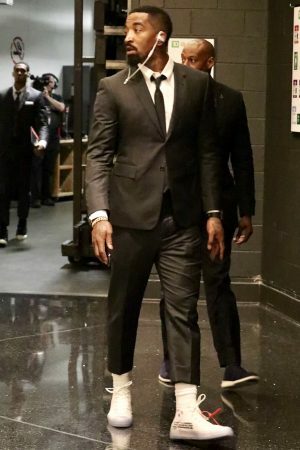 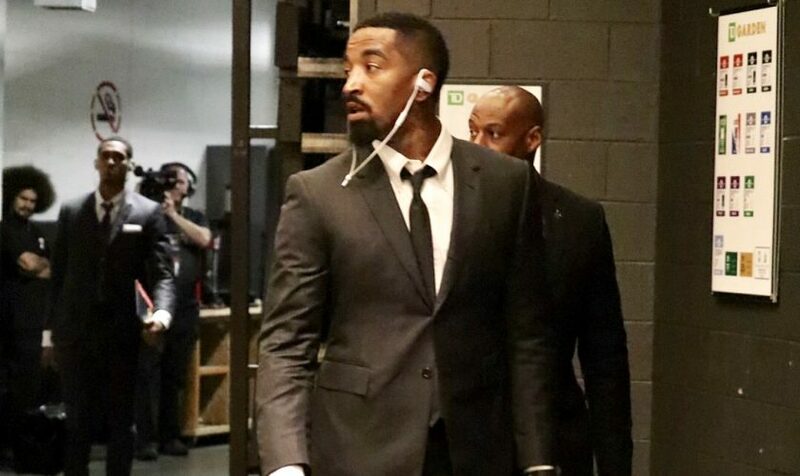 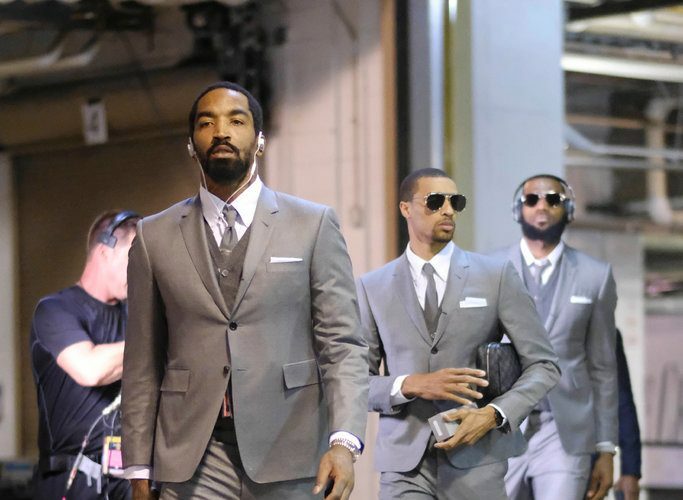 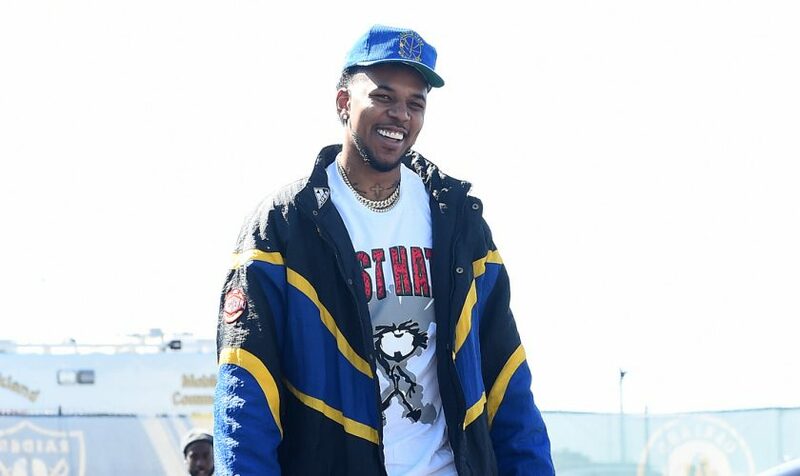 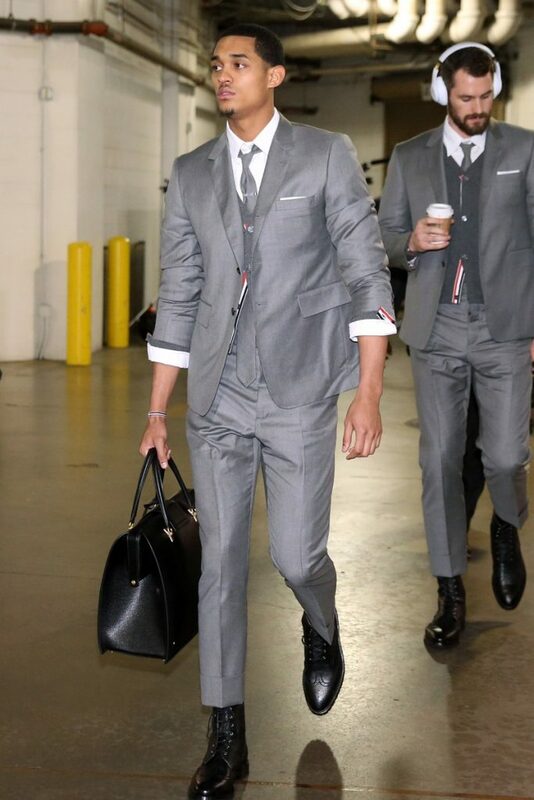 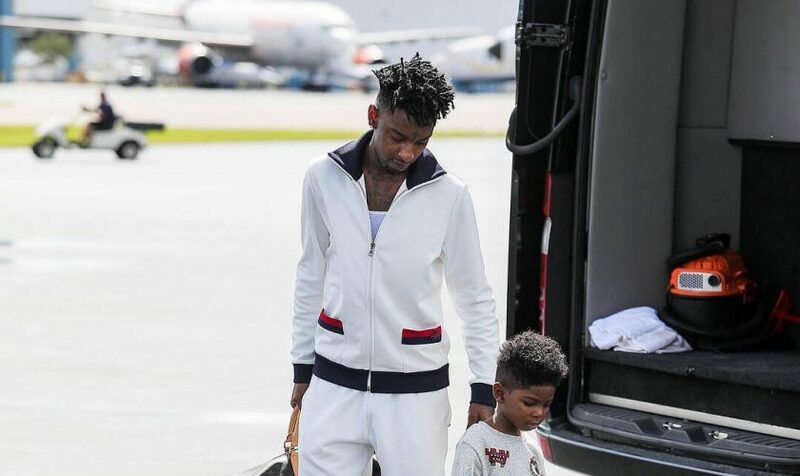 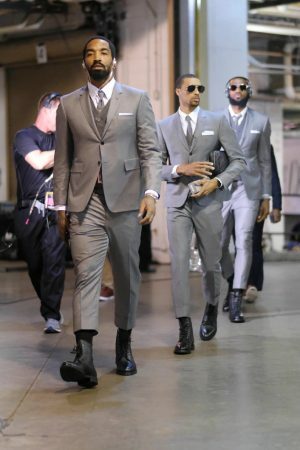 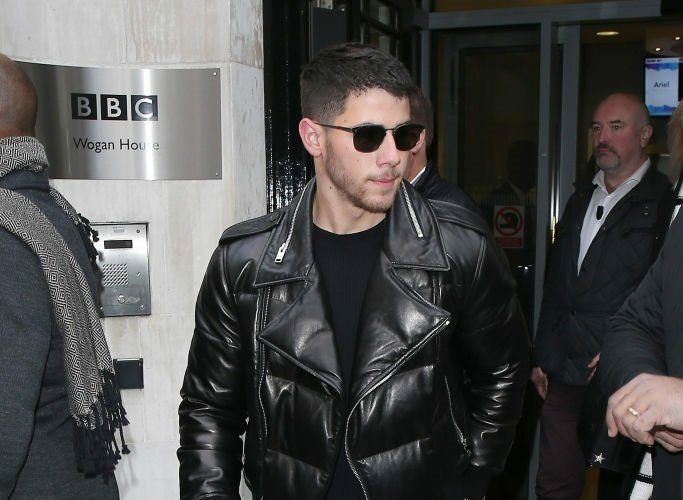 Cleveland players arrived for their NBA Playoffs game against Indiana in Indianapolis on Friday, April 20, 2018 wearing the same gray suit, cardigan sweater, socks, boots and aviator glasses all purchased by James, according to ESPN’s Lisa Salters. 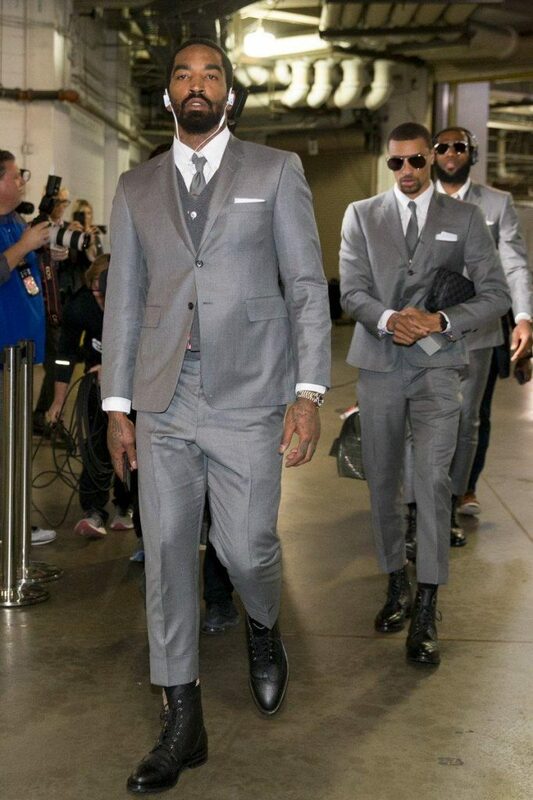 Salters said players were fitted for the custom suits designed by Thom Browne a few weeks ago. 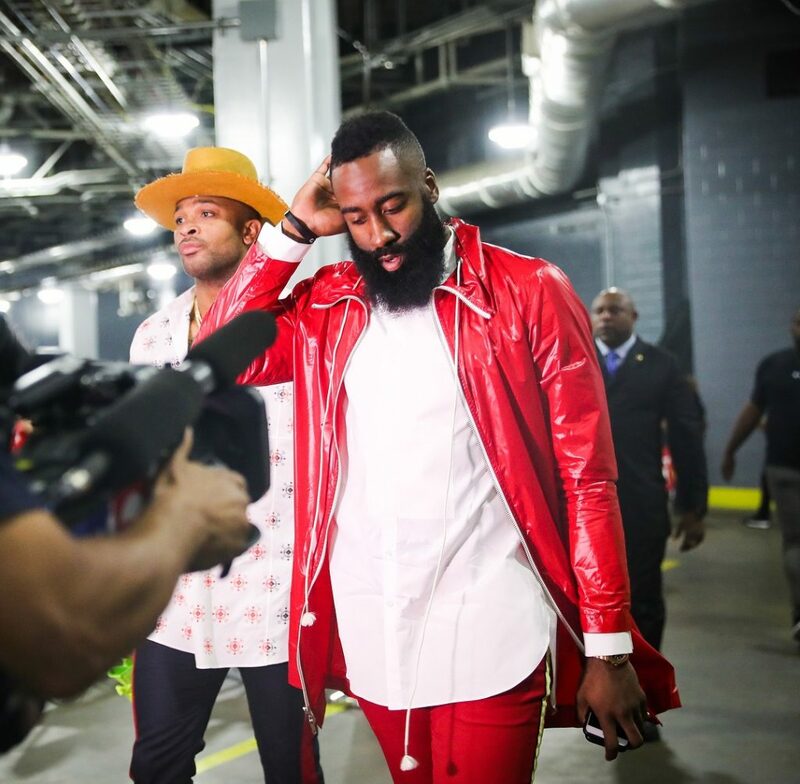 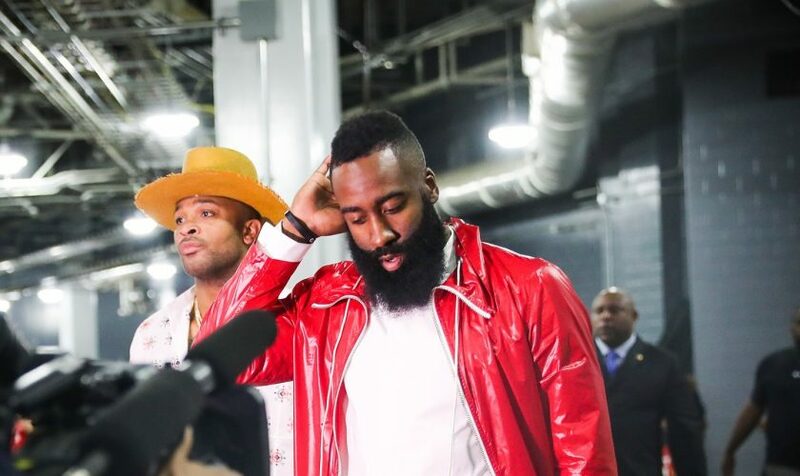 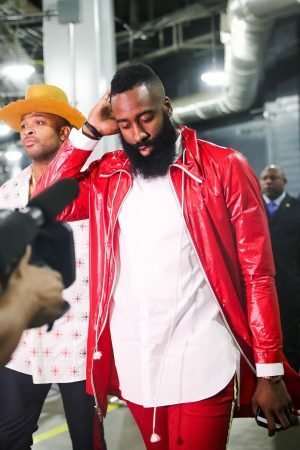 James Harden arrived for the Rockets vs Warriors game 7. 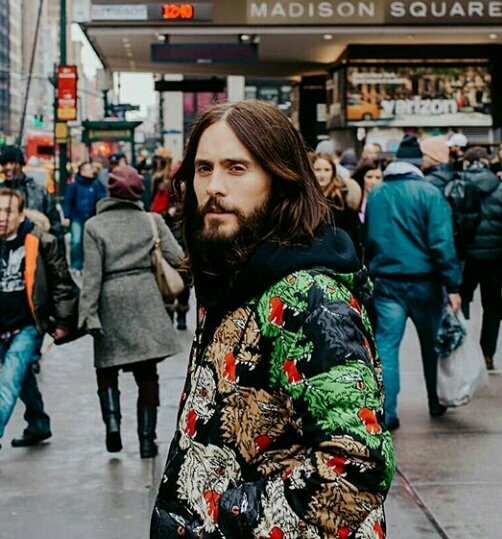 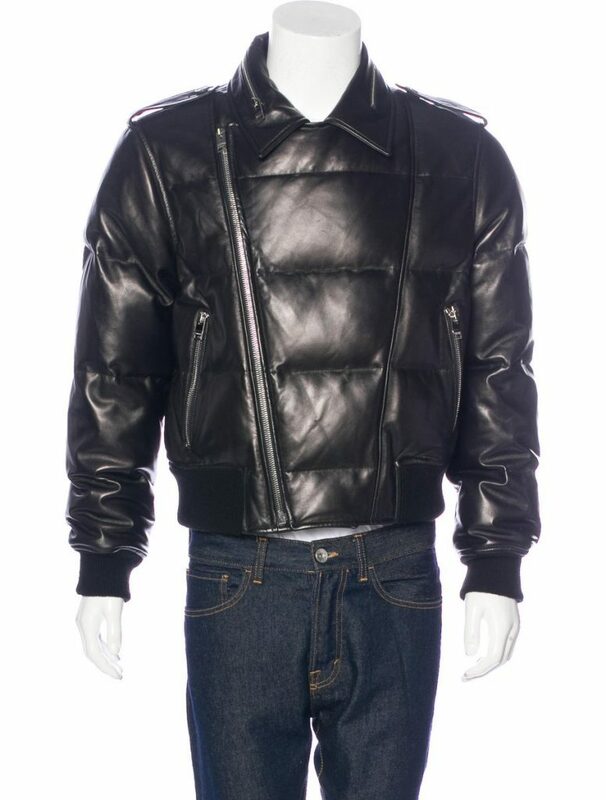 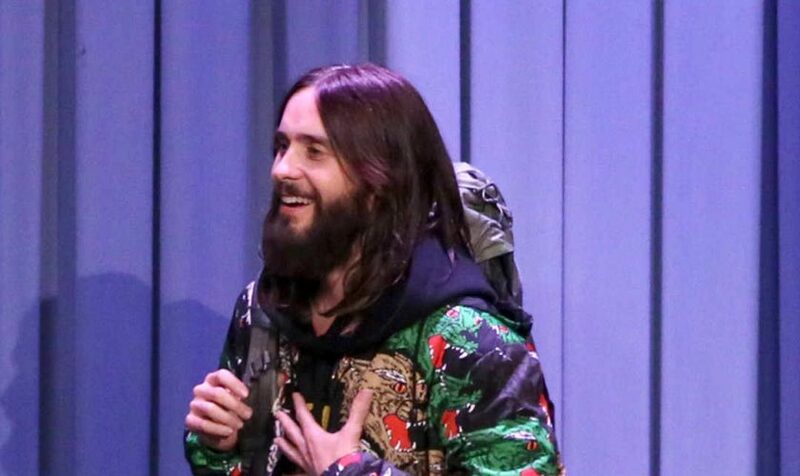 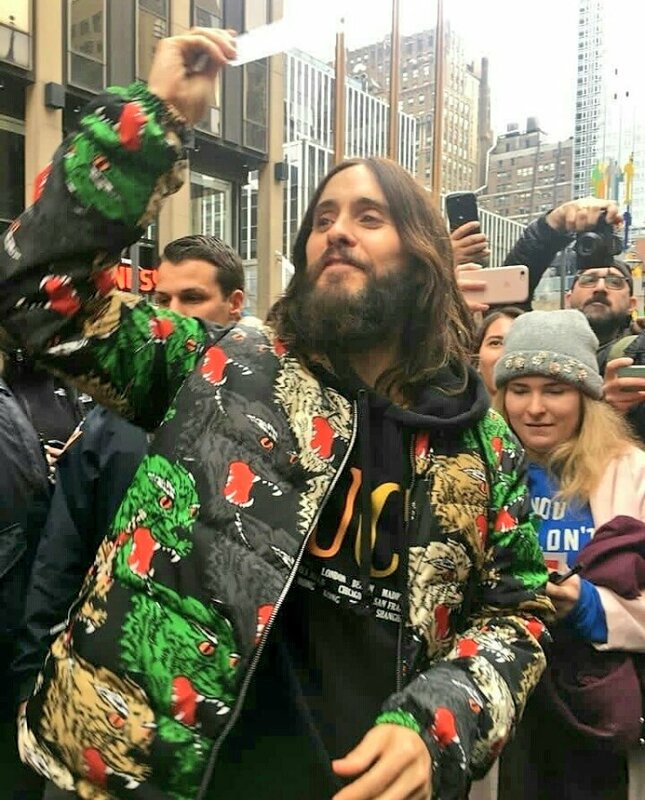 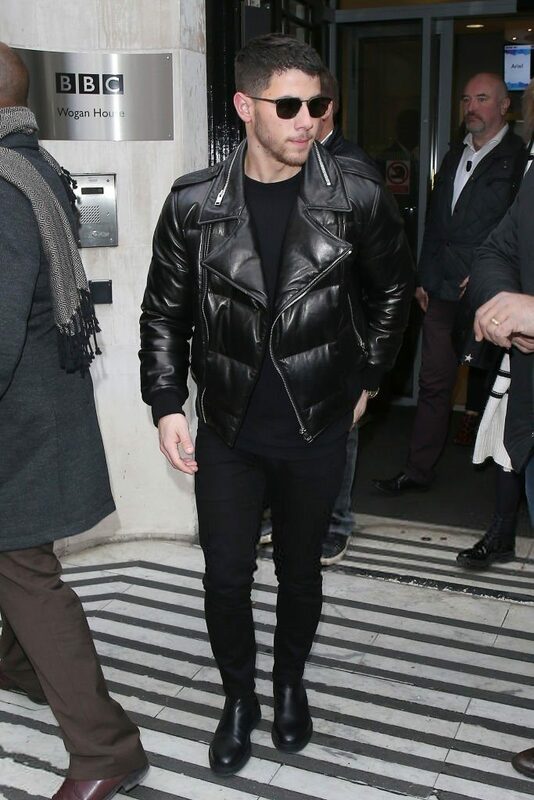 He was wearing a red Calvin Klein rain 205w39nyc rain jacket. 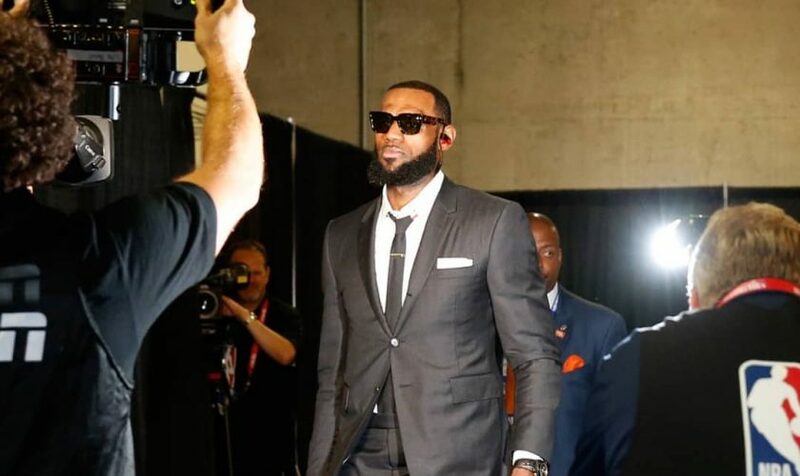 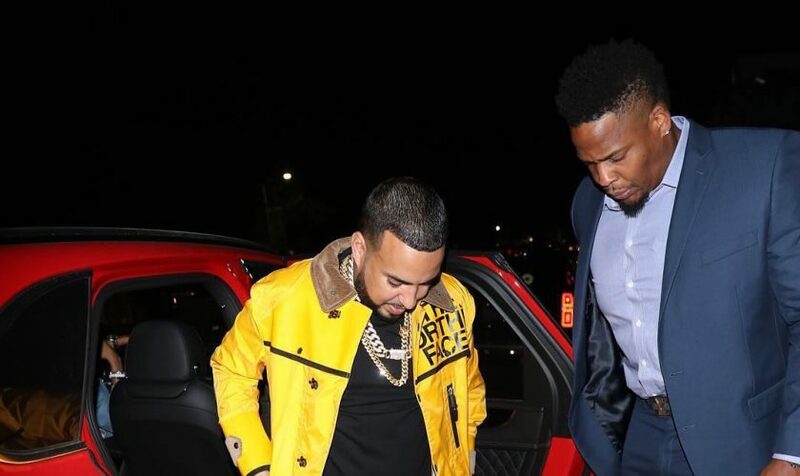 LeBron James was the talk of the town when he arrived to Game 1 of the NBA Finals against the Golden State Warriors on Thursday night. 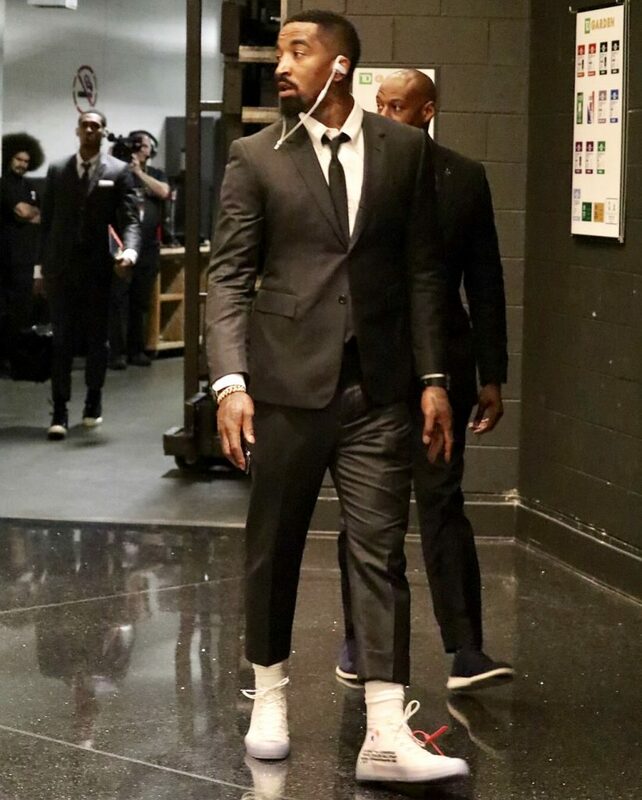 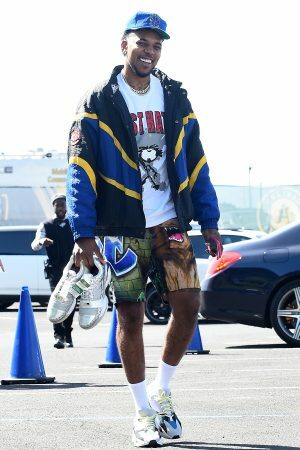 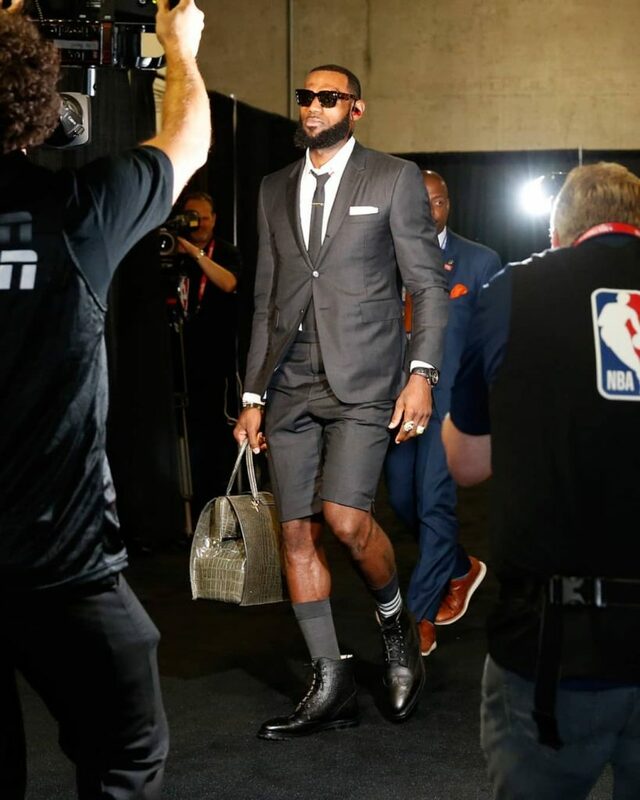 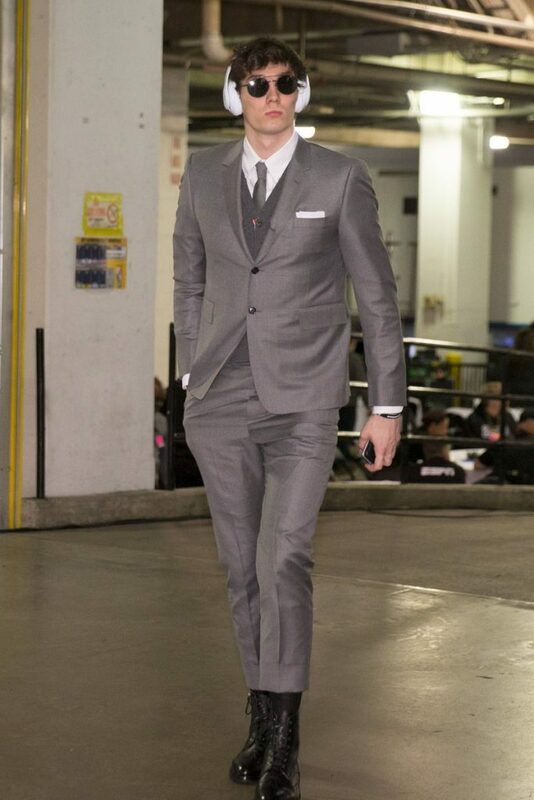 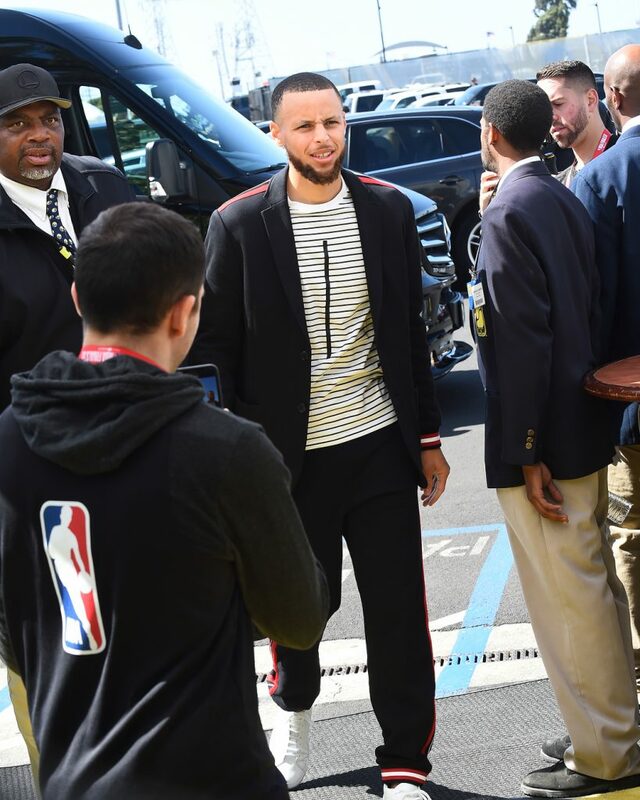 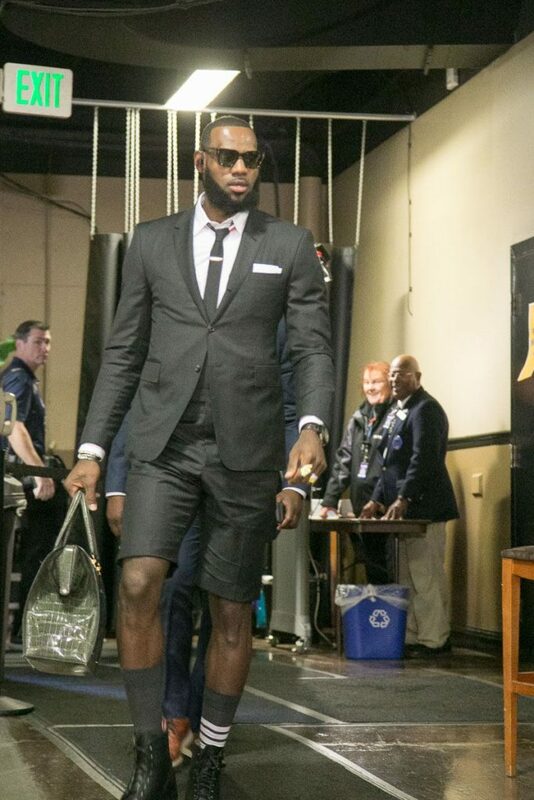 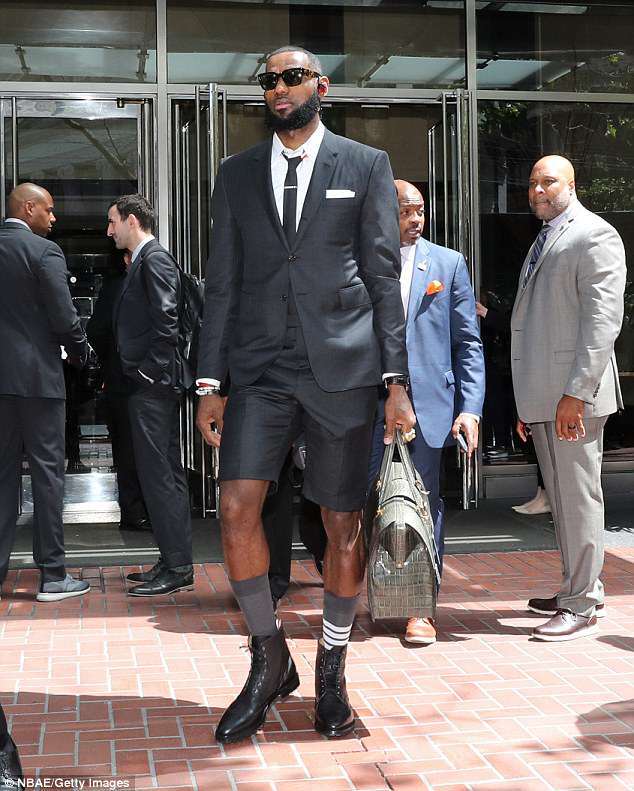 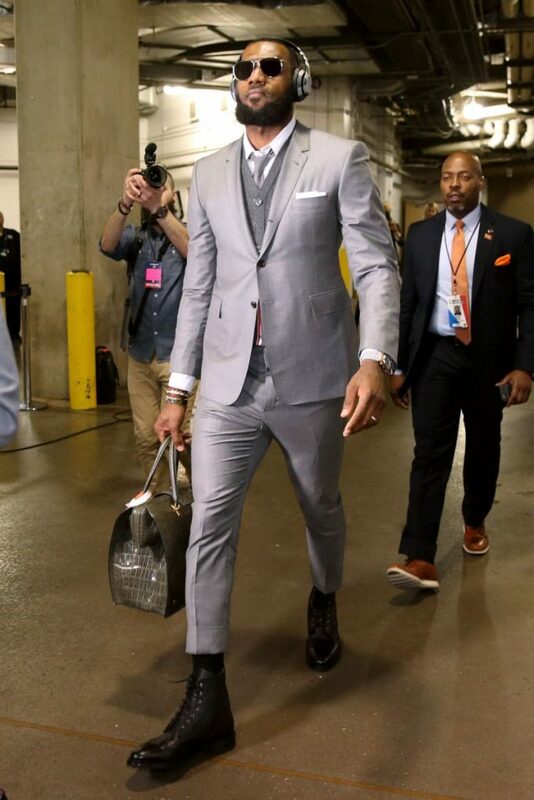 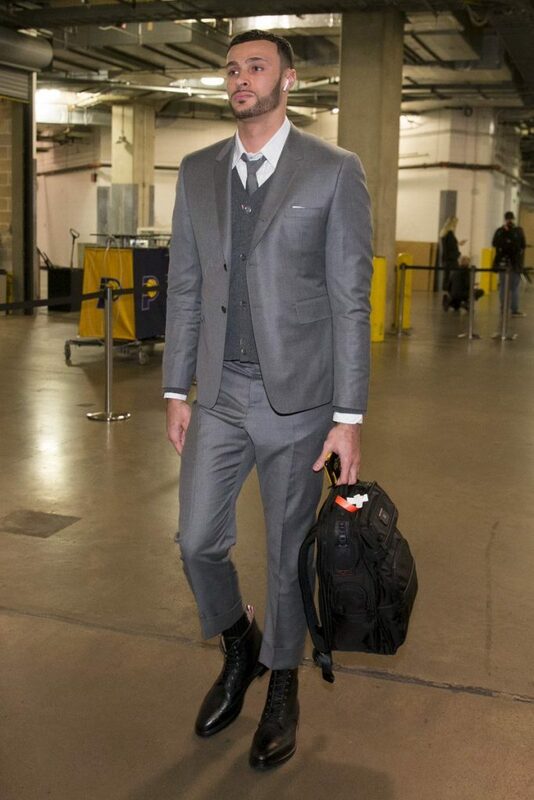 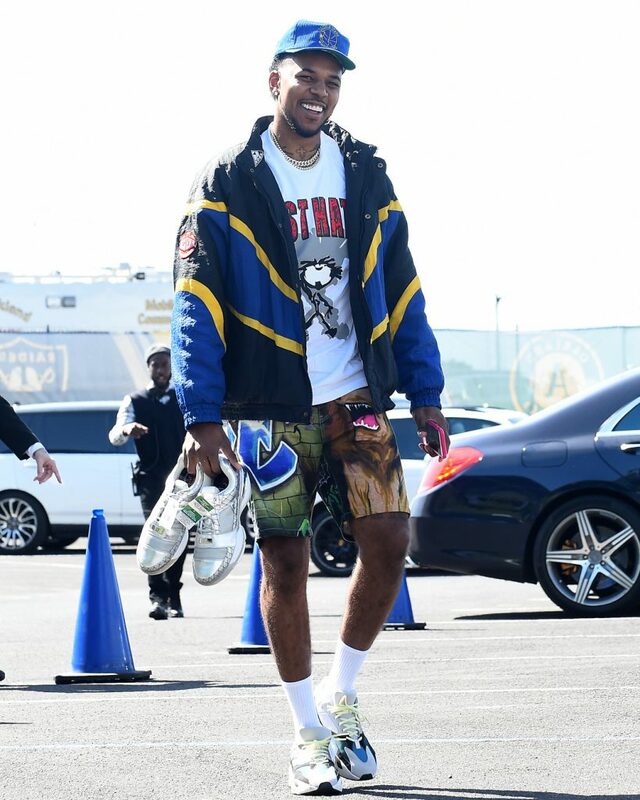 The Nba superstar is wearing a Thom Browne shorts suit , socks and boots. 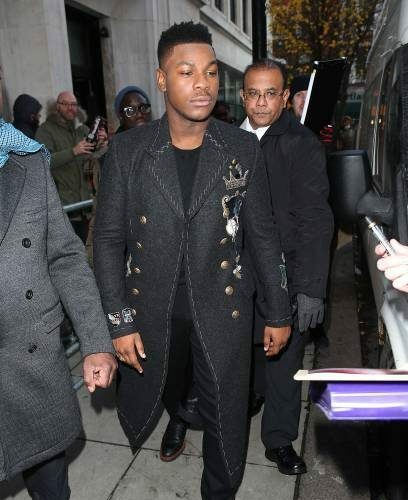 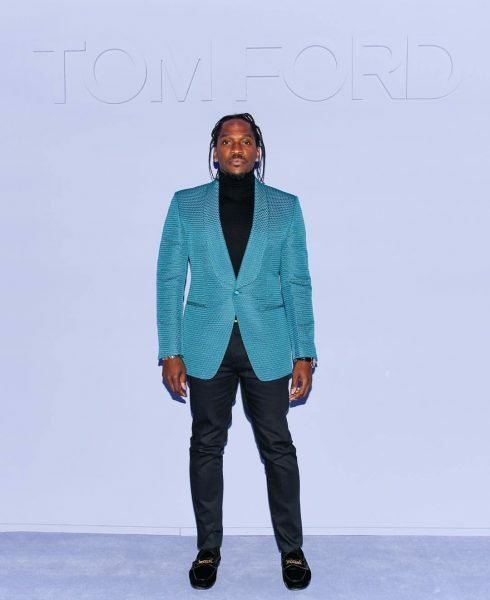 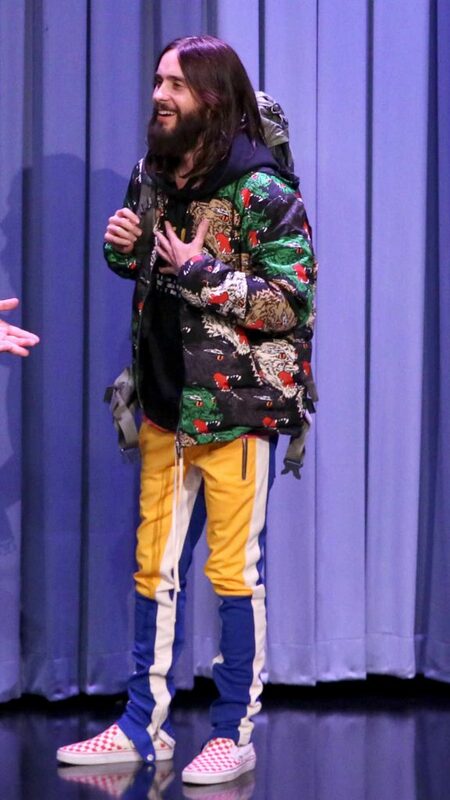 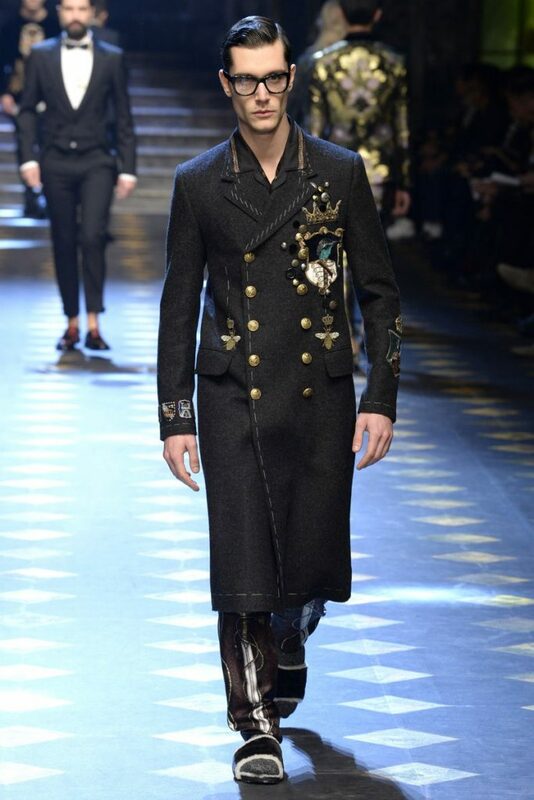 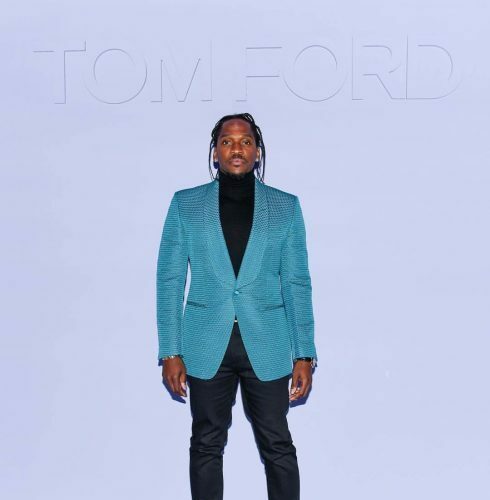 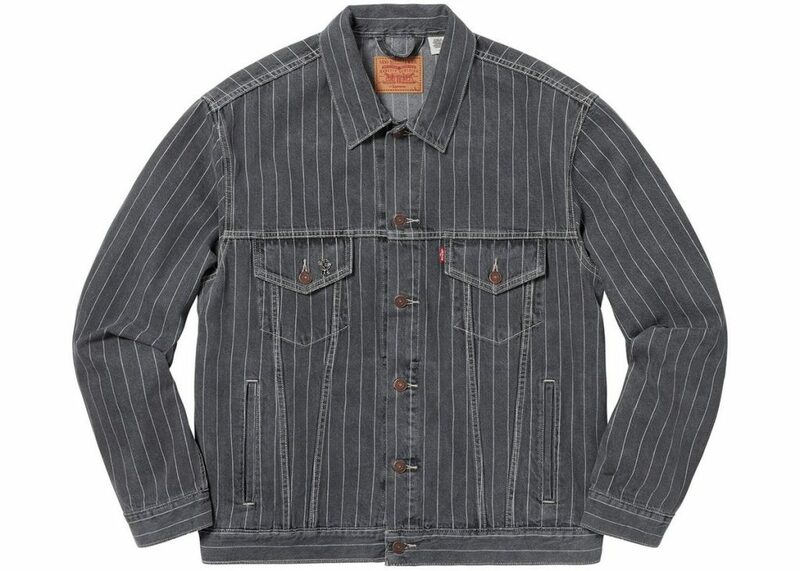 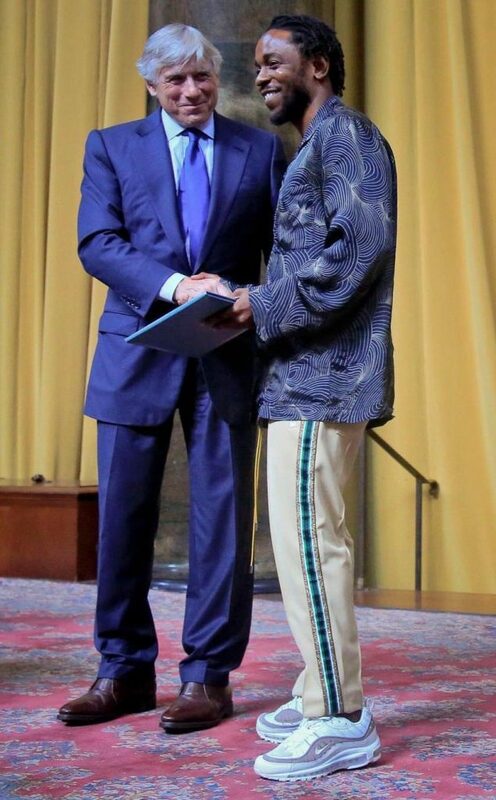 He styled his look with a Thom Browne “Mr. 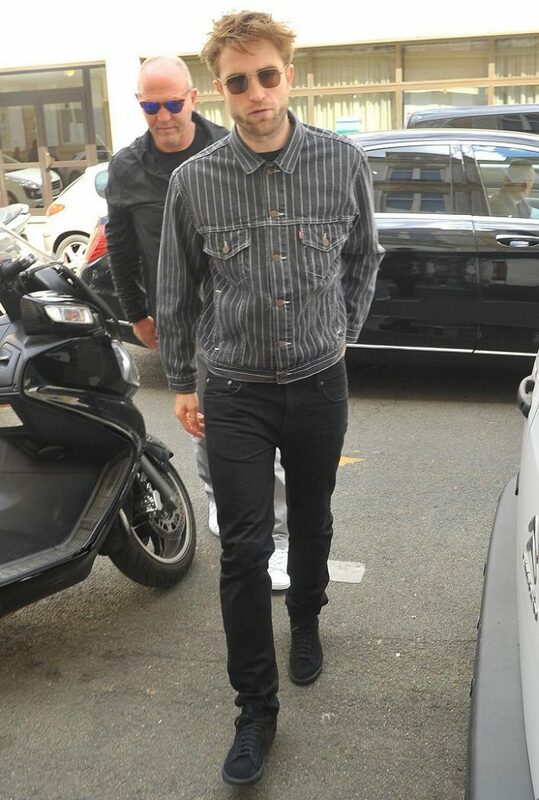 Thom” doctor’s alligator bag. 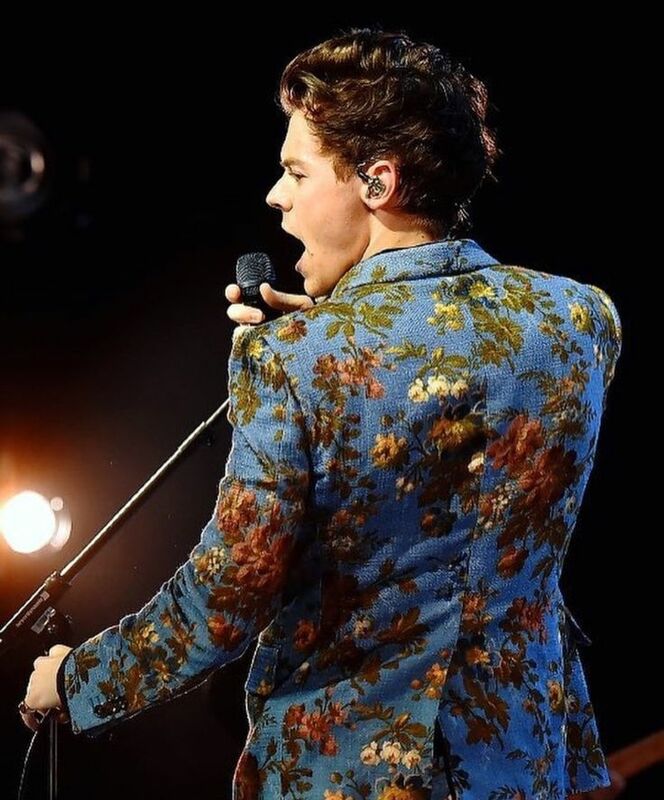 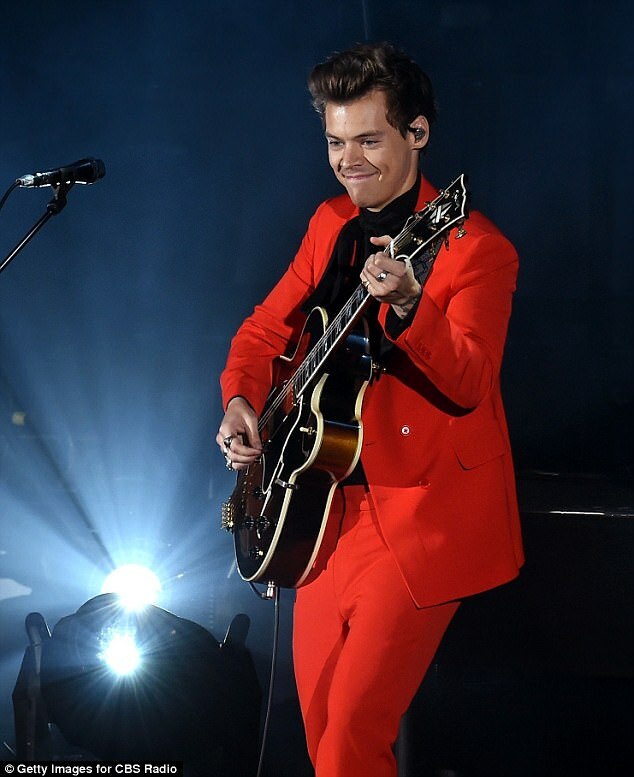 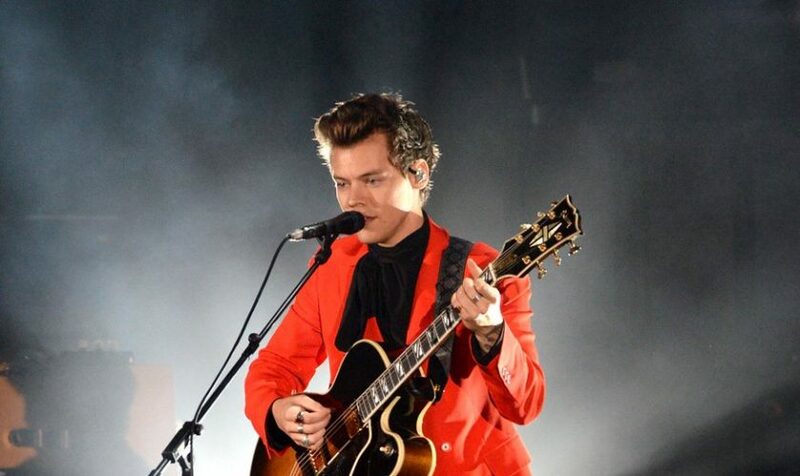 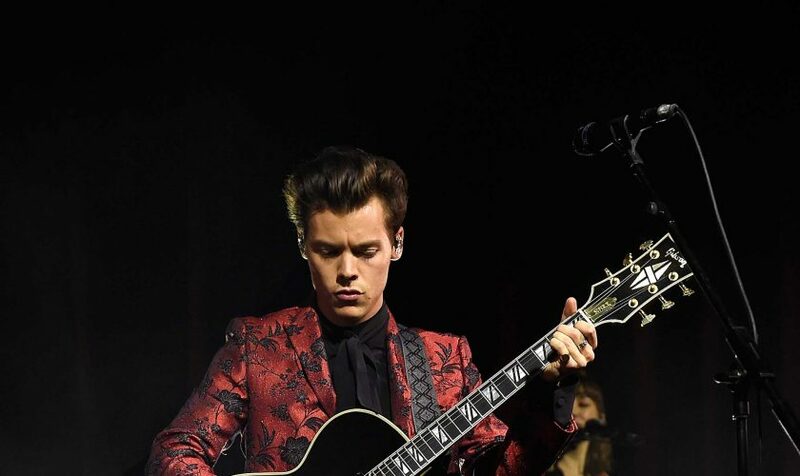 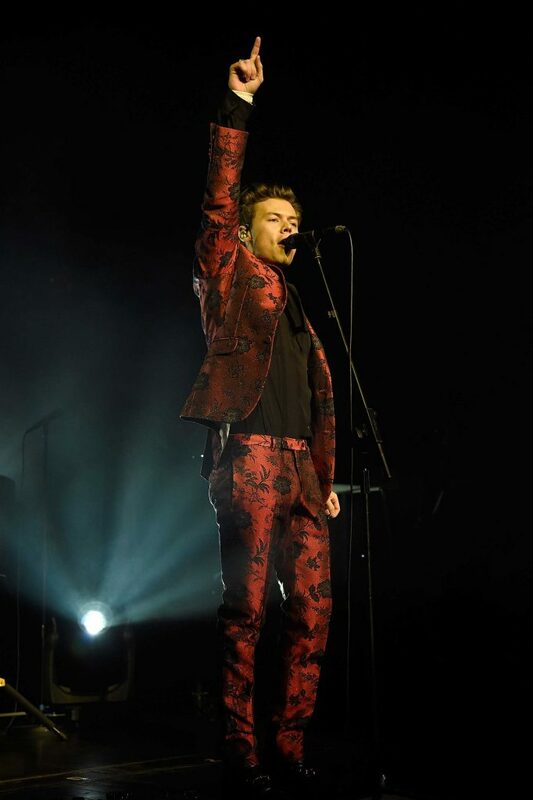 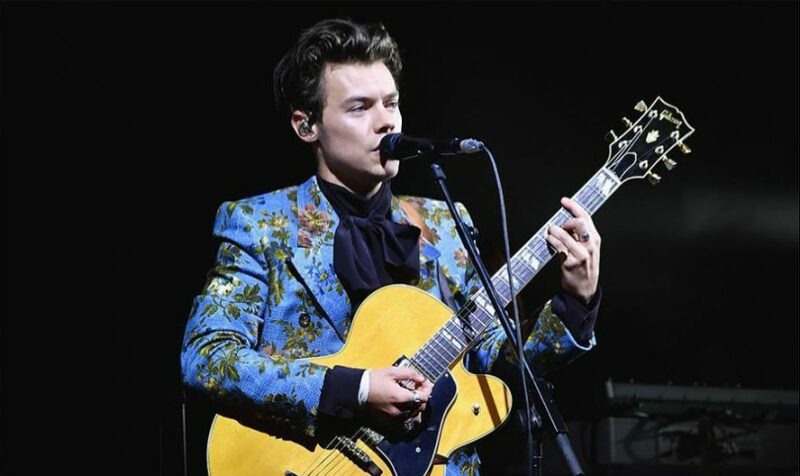 Harry Styles wore a red a custom Stella McCartney Spring Summer 2018 suit at last night’s ‘We Can Survive’ show on October 21, 2017.